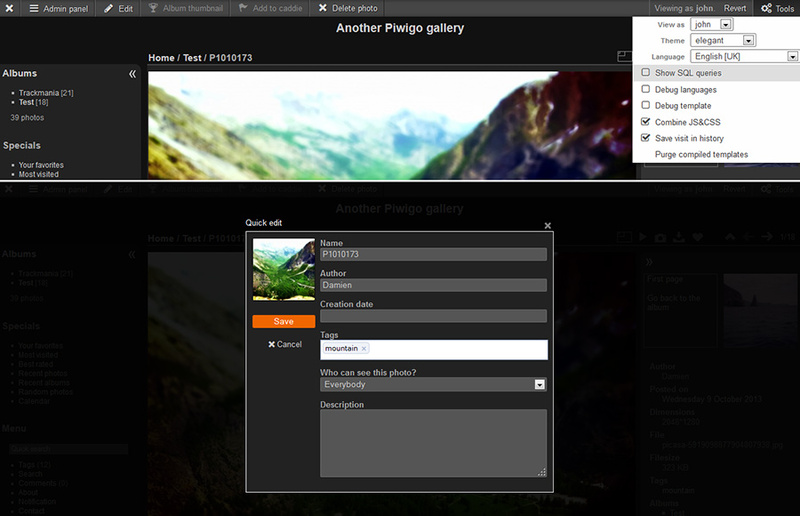 Over: 'Advanced Menu Manager' allows you to easily change the appearance of the gallery's menu. * To add a block "a random photo"
- Blocks are 100% multilingual. Veranderingen: Vérification de compatibilité avec Piwigo 2.8. Problèmes connus: Les raccourcis vers les profils d'utilisateurs ne fonctionnent plus. - When "Comments for all" is enabled, everyone can comment - they only need a nickname. - When "Comments for all" is disabled, only a select group of users may comment. 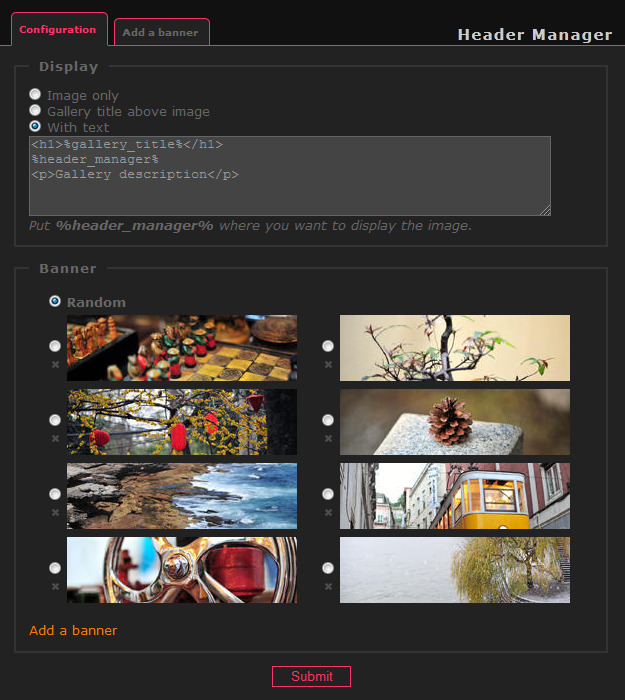 Over: Header Manager simplifies management of gallery banners. You can upload a picture from your computer or use a picture already in your gallery. You can define a banner for the whole gallery and a specifiq banner for each album. Allows to completely remove the page banner on photo pages.